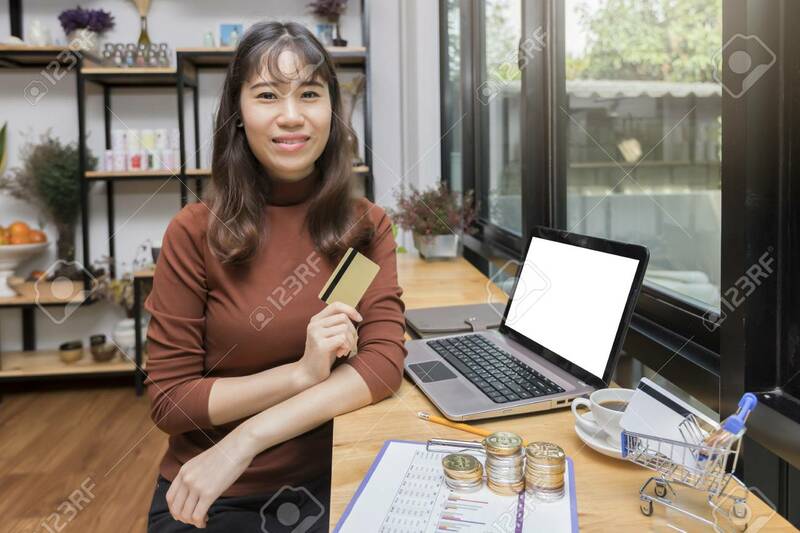 Beautiful Asian Woman Holding Credit Card And Using Laptop Computer For Online Shopping. Internet Shopping Lifestyle, Ecommerce Shipment Service, SME Sale Promotion Advertise Concept. Lizenzfreie Fotos, Bilder Und Stock Fotografie. Image 116540144. Standard-Bild - Beautiful Asian woman holding credit card and using laptop computer for online shopping. Internet shopping lifestyle, Ecommerce shipment service, SME sale promotion advertise concept. Beautiful Asian woman holding credit card and using laptop computer for online shopping. Internet shopping lifestyle, Ecommerce shipment service, SME sale promotion advertise concept.